Deposition Sciences, Inc. (DSI®), global manufacturer of highly durable thin film optical coatings, announces the expanded family of optical thin film coatings including antireflection (AR) coatings, hot and cold mirrors, front-surface mirrors, and IR coatings for commercial and industrial applications. The new coating products span ultraviolet (UV), visible (VIS), near-infrared (NIR), shortwave infrared (SWIR), midwave infrared (MWIR), longwave infrared (LWIR) and very longwave infrared (VLWIR) wavelengths. DSI’s extremely durable optical coatings can be applied to a wide variety of substrates including glass, ceramics, plastics, metal, and active device silicon wafers. The company’s proprietary deposition methods permit exceptionally conformal coatings on unusual geometries, from complex shapes to ball lenses, beamsplitters, domes, mirrors, windows, and tunnels/tubes. Deposition Sciences is ITAR registered and ISO 9001:2008 compliant. The company also offers heat-resistant and energy-efficient coatings, advanced multispectral optical filter assemblies, patterned optical filters and integrated circuits, multilayer optical coating capabilities for micro-optics, interference filter coatings, conductive coatings, spectral metal coatings, and dichroics. For over 25 years, Deposition Sciences has produced the most durable optical thin film filter coatings in the industry. DSI’s coating capability ranges from the ultraviolet (UV), through the visible and includes near-infrared (NIR), midwave-infrared (MWIR) and out to the longwave-infrared (LWIR). 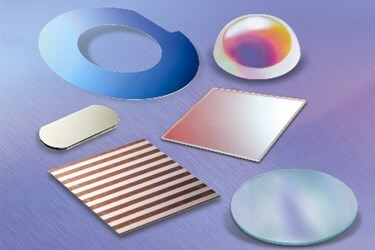 At the heart of these coating capabilities for optics and other thin film technologies are DSI’s patented MicroDyn® reactive sputtering technology enabling superior multilayer thin film coatings, and the company's IsoDyn™ LPCVD method that permits exceptionally conformal optical coatings on complex shapes and sizes. For more information, visit www.depsci.com.